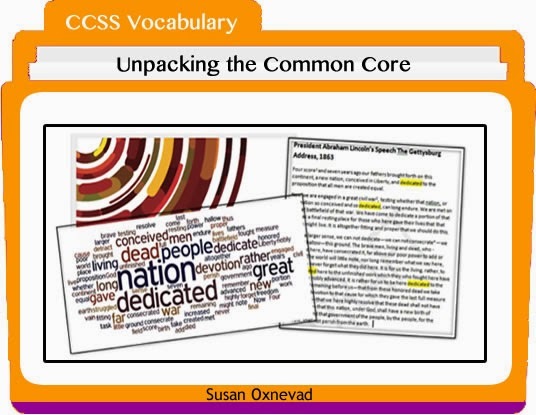 Unpacking the Common Core: Embracing the Academic Vocabulary Shift. This is part of a Digital Differentiation model, my way i of weaving a web of flexible tools together for teaching and learning. To keep the model relevant, frequent updates are required, as new tools and trends emerge. Scroll over this interactive image and click on any hot spot to view resources for each of the tools. Explore this interactive ThingLink Channel of ideas and directions for using the new ThingLink Teacher features. Be sure to read the full posts as I continue to guest blog on the ThingLink Blog in February and March. ThingLink Custom Icon Sets are a new feature available to teachers with premium accounts. They offer a whole new layer of opportunities for using interactive images for teaching and learning. Think of Custom Icon Sets as visual labels that can be used to further define an image and provide a glimpse of the type of content to be explored behind the link. Now teachers and students can create collections of work within the safety of their own ThingLink EDU classroom with an exciting new feature known as Channels. ThingLink Channels provide users with the ability to organize images into embeddable interactive albums with the click of a button. Teachers and students have the flexibility to build Channels that are connected to learning goals and compliment classroom routines. Channels are a fantastic addition to ThingLink EDU, with many opportunities for use for teaching and learning. 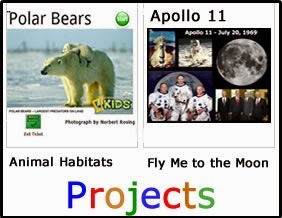 Students can make stories come alive by creating multimedia book reviews. Start with a book cover. Use SoundCloud to embed a narrated overview of the story. Embed author interviews and book trailers from YouTube. Create an original illustration and embed it through Flickr. 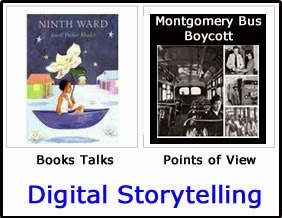 Publish a channel of student book reviews for others to explore.With so many options, students are sure to get excited about sharing digital stories through a ThingLink Channel. Students can create a channel for use as an ePortfolio to organize a collection of their own work and document learning over time. 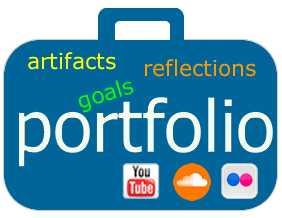 Maintaining an ePortfolio requires students to take a more active role in the learning process through self-reflection, goal setting and decision making. The flexibility of ThingLink provides students with a variety of ways to demonstrate learning through flexible learning paths to meet their unique learning needs. Teachers can use ePortfolios as a tool for authentic assessment. ThingLink is a tool that is well suited for digging deeper into vocabulary, a skill supported by the Common Core Standards. Students can start with a word, define it through rich multimedia tags and create a channel of terms to share and explore. Use a vocabulary channel as an interactive glossary available 24/7 for review, challenge and reteaching. Student centered projects that utilize cooperative grouping are greatly enhanced by the use of a Channel. Teachers can guide the learning and provide students with differentiated tasks by assigning each student a specific job within the the group. Students can engage in research to create their own interactive graphic to meet their specific job requirement, and the cooperative group can collaborate to assemble the images into a final project to demonstrate and share learning. 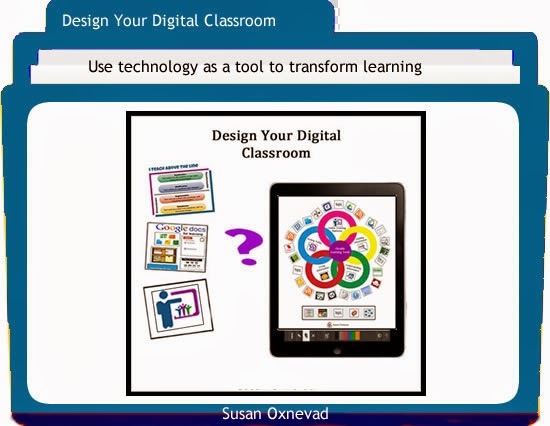 The seamless integration of tech as a tool for learning is a goal that can be more easily achieved with the use of short video tech tips to demonstrate “how to use the tech”. 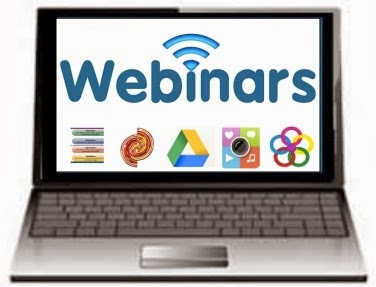 Teachers can focus on the content instead of the technology by providing students with easy access to screencasts, or narrated videos that capture what takes place on the screen. 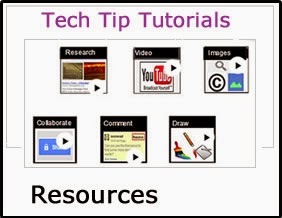 Assemble a channel of resources and teach students to use it when needed. Be sure to point out the usefulness of the pause button for reteaching and review. To view and share your images as an interactive slideshow, click View as Slideshow on the left side of the screen. 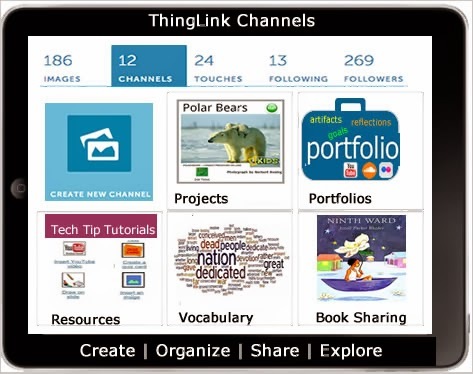 ThingLink Channels are just one example of the many ways ThingLink EDU is working hard to improve the usefulness of ThingLink as a tool for teaching and learning. 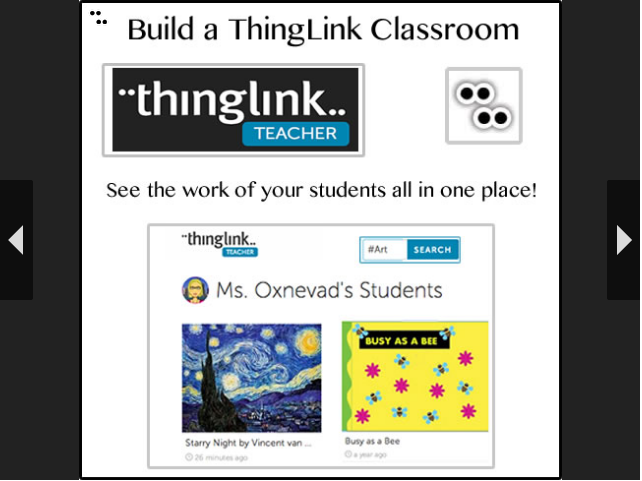 I am excited to be guest blogging on The ThingLink Blog in February and March to demonstrate great ways to use the new features in the classroom! 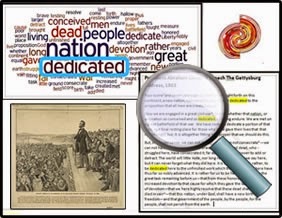 Explore a ThingLink Channel created to recap the ideas shared in this post and try Channels yourself, on ThingLink EDU. 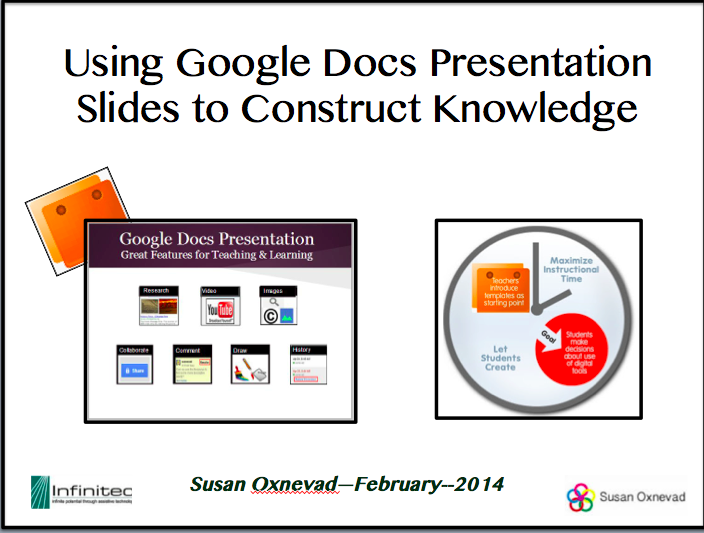 Google Docs Presentation Slides is tool well-suited for use to fuel everyday student driven research because of the availability of efficient integrated research and writing tools right on the page.